May 17, 2017 – UPDATE! Congratulations to our Toronto Team for taking home the Leadership Award for their waste diversion efforts at 20 Prince Arthur Avenue! 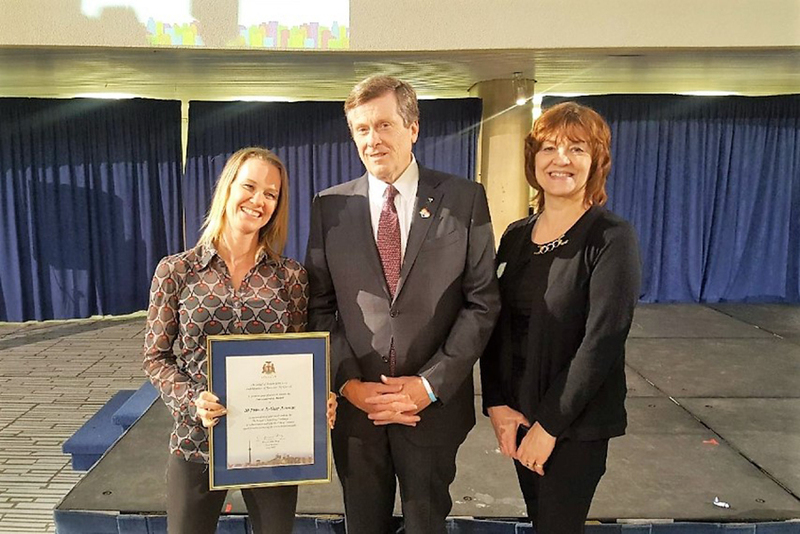 Here is Mayor John Tory recognizing Hollyburn Properties at the awards ceremony. We have come to the end of the Mayor’s Towering Challenge. 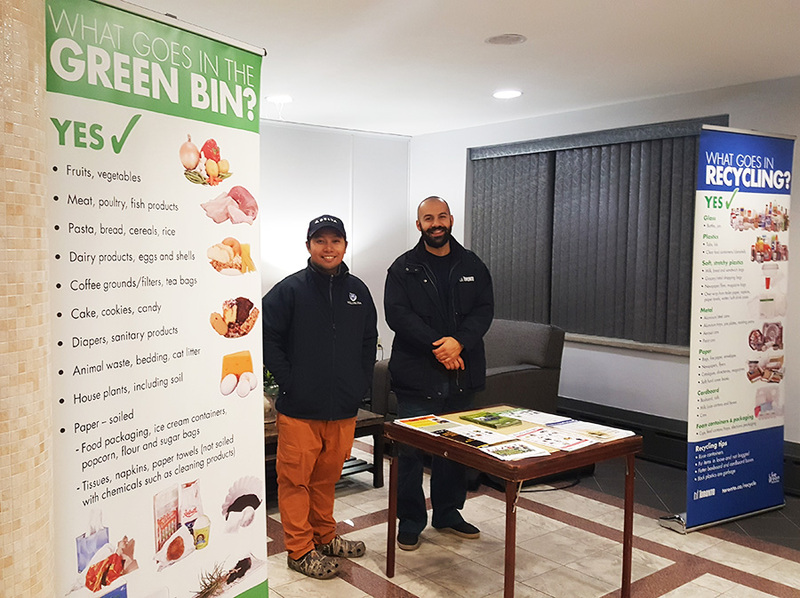 The initiative was organized by the City of Toronto as a means to raise awareness and reduce the amount of waste that multifamily residential buildings dispose of – part of the City’s goal to achieve 70% diversion from landfill and ultimately, to become Zero-Waste. Almost half of all residents in Toronto live in multifamily residential rental apartments, condos, or co-ops, yet this group only diverts 27% of their waste compared to the 65% diversion rate in single family homes. Reflecting on the Challenge, we noticed an overall improvement in the quality of the items now being recycled. There is less cross contamination and recyclables are being better washed and separated (dirty items can contaminate an entire batch!) Because of this added effort, less waste is being thrown out and we have been able to reduce the number of garbage bin pick-ups at several of our buildings in Toronto. This is great news and we are excited to continue this momentum going forward! While we haven’t personally reached the City of Toronto’s 70% diversion goal, we have increased diversion by a range of 15-120%, giving Hollyburn Properties an average diversion rate of 40-45%. While there is still a lot of work to be done, The Mayor’s Towering Challenge provided us with practical tips, tricks and resources to facilitate a culture of reducing, reusing and recycling in our apartment rental buildings. The winner of the Challenge will be announced in April – Stay tuned!